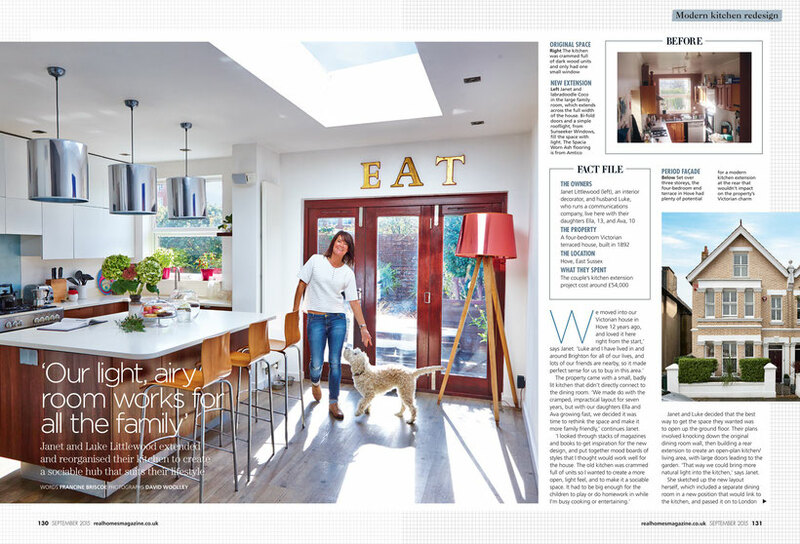 One of our kitchens was featured in Real Homes in September 2015. 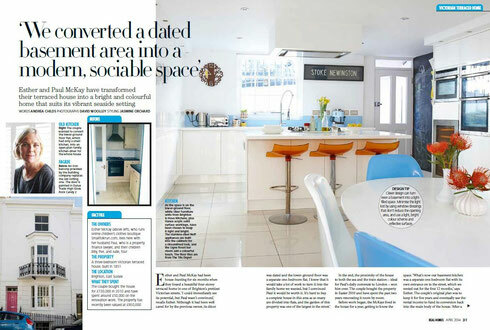 The kitchen featured bespoke units with a central island feature. These aspects of the design were mentioned in the article and particular praise was given to Jem Owen's eye for design and detail. 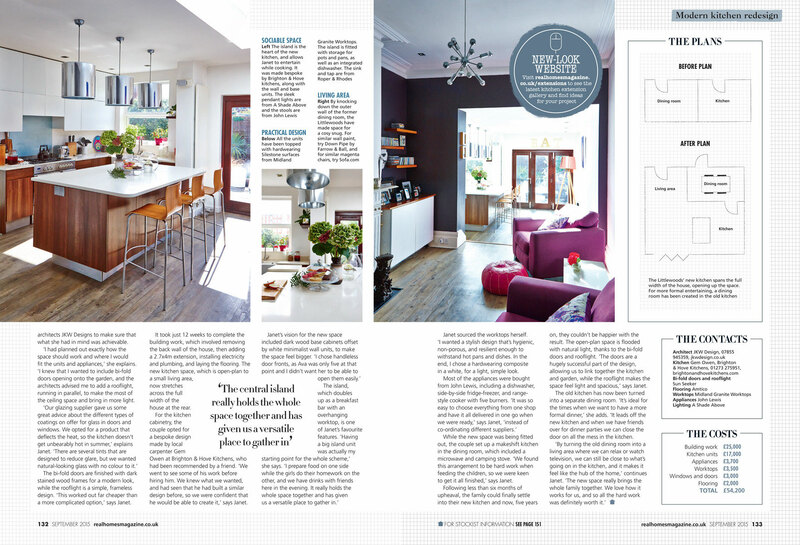 Click on each of the pages to read more about how we helped transform Janet's kitchen space. 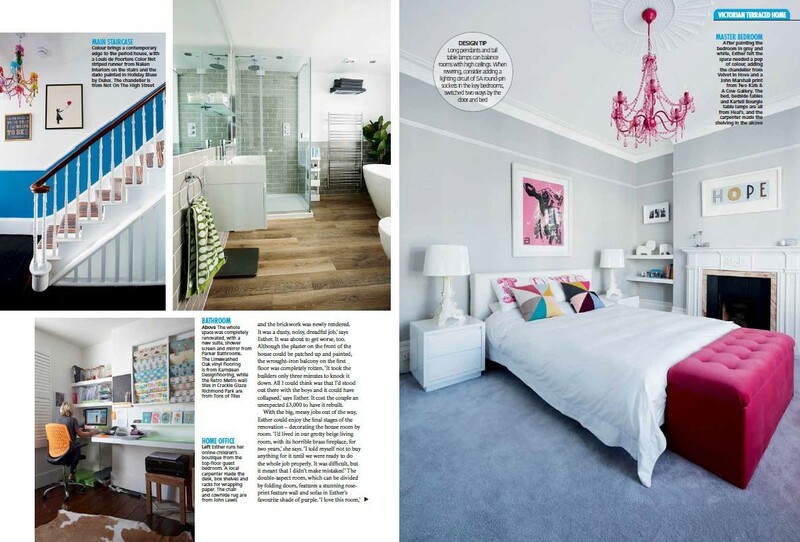 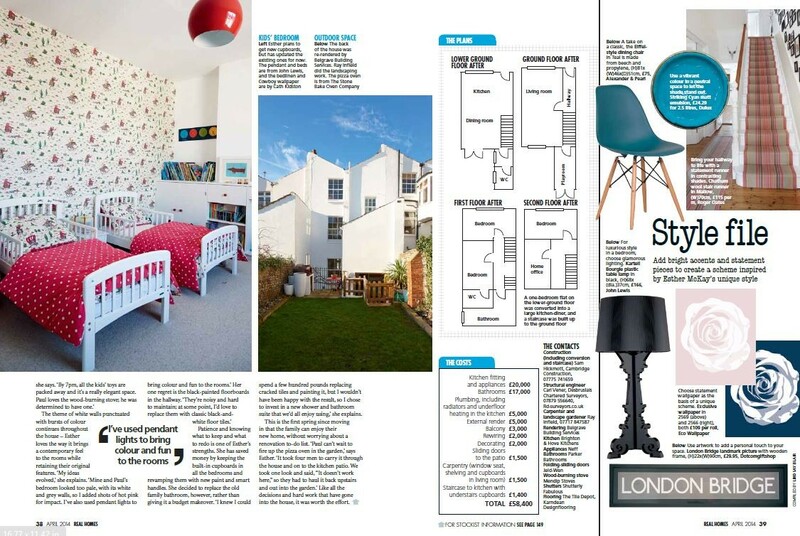 One of our kitchens was featured in Real Homes in April 2014. Particular mention was made of the "clever design" in the kitchen which made the most of the light and space in the previously dark and dingy basement. 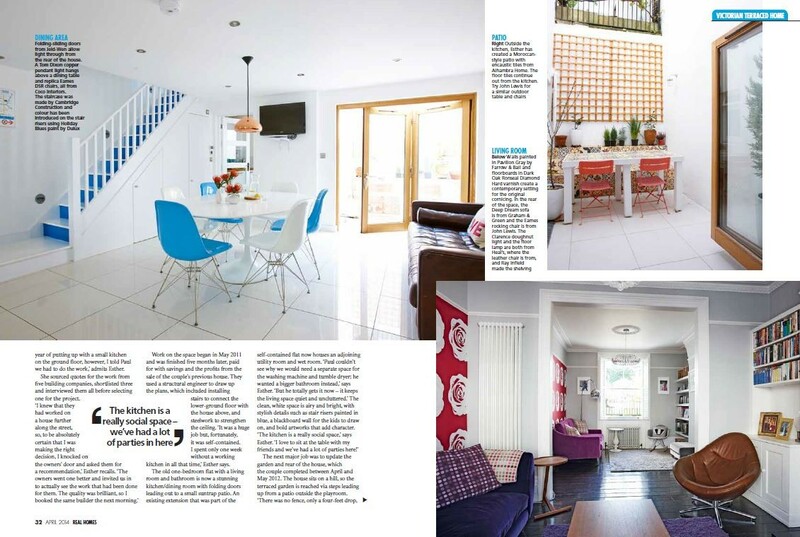 Click on each of the pages to read more about how we helped transform Esther and Paul's home. 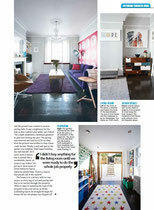 If you would like to download a copy of the article click here!